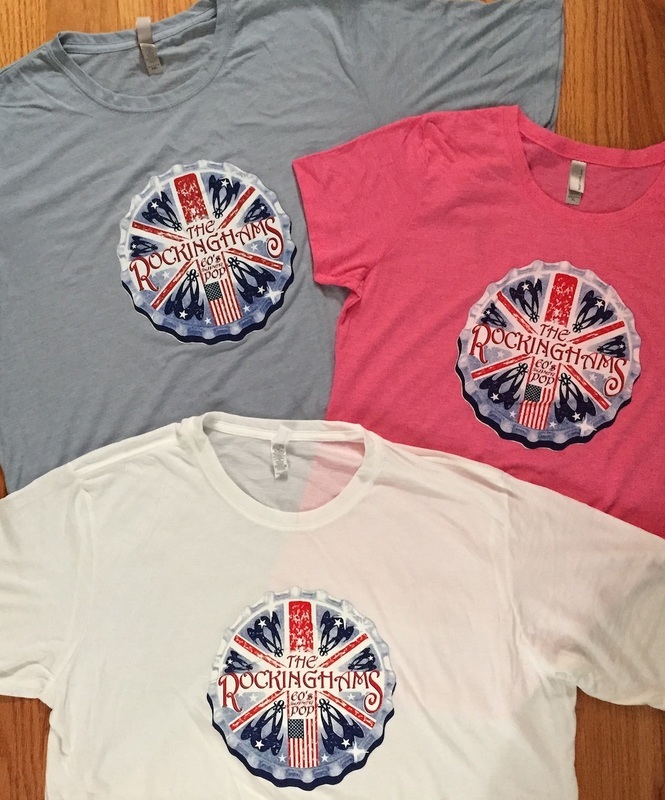 GET YOURSELF THE NEWLY-DESIGNED ROCKINGHAMS TEE SHIRT! BLACK TANK TOPS NOW AVAILABLE! FEATURING OUR COVERS OF 14 SENSATIONAL '60s SMASHES, IS AVAILABLE UPON REQUEST FOR $5. go to Contact Us page to let us know you'd like a copy and you can pick it up at the next gig.